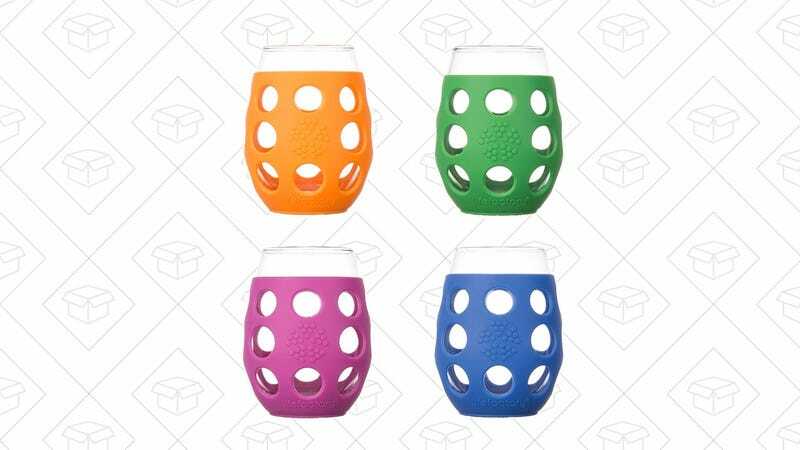 These outdoor-friendly stemless wine glasses won’t break, which is great if you have kids or pets who are always knocking over glasses. The silicone sleeve is dishwasher safe, so no added effort to pull that off before you clean it. Plus, at $30, they’re listed at the lowest price they’ve been sold on Amazon. Cheers!